This is mostly a picture book of FAILS using QR codes. For the uninformed, a QR code is a Quick Response code that was invented in 1994 by Toyota to track vehicles as they were assembled. QR codes look like a digital square and you are supposed to scan them with a smart phone after you have downloaded an app that will recognize the code. The book makes the point that some applications may work, but often with new “shiny” object, it gets overused and used wrong. Stratten shows how most of these are useless and for sure putting a QR code on a banner behind an airplane is the beyond stupid. 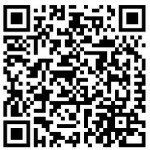 A good QR code can work, but it is not for every business and every body. Pinterest has a collection of some very pretty and unique codes – would any of these work for your business? 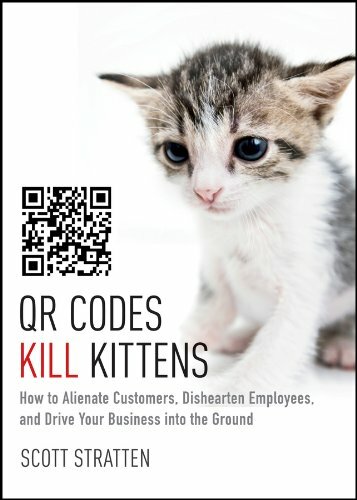 If a QR code just takes you to a businesses web page that is NOT mobile friendly, then it is a kitten killer. If it just takes you to a business website – nothing special – that, too, would be a kitten killer. All joking aside, if your marketing isn’t working, maybe you want to look at how you are doing it. If you customers find you by your reputation, tarnishing it with new fangled marketing glitz may not endear or grow your business. Before you start a new marketing program, make sure it is going to grow your business and not kill kittens. This is a quick read with a 3.68 out of 5 star rating on Goodreads and it isn’t going to make you feel guilty about what you SHOULD be doing, but rather warn you about what you should stay away from.